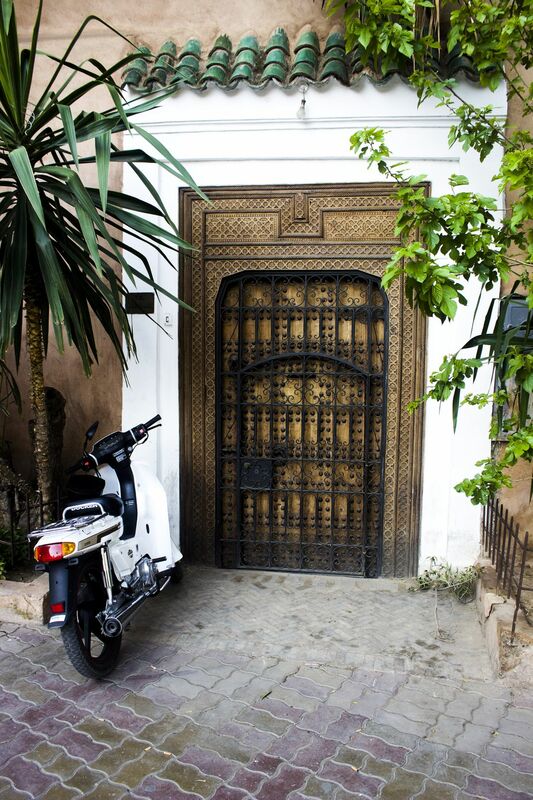 I was walking in Marrakech to these beautiful gardens when my friend spotted this beautiful gate and moped in front of it. We met the man whom the moped belonged to and started talking. It seemed like a scene out of a movie and so I captured the moment, never to forget.